In today’s world of complex and interrelated risks such as underwriting, credit, market, operational, liquidity risks and more, an increasing number of financial institutions, including insurance companies are seeking to implement a holistic risk management framework. Building on years of experience in risk and business process management at leading technology firms like Apple, Steven Minsky founded LogicManager, to help companies identify, monitor and mitigate their organization’s risk portfolio with a common framework. LogicManager’s suite of Enterprise Risk Management (ERM) software provides a risk-based framework and methodology that manages risk, control, compliance, assessment, and resource information—all in one place. The firm’s risk-based approach saves time, energy and money in the process of risk management, since it eliminates redundant or overlapping activities for better understanding of the impact of each risk or activity within the organization. LogicManager’s patent-pending taxonomy technology allows users to view existing relationships between risks in order to identify root causes of risks and how they affect strategic goals. 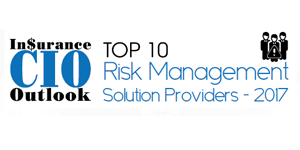 By utilizing its Risk Management Information System (RMIS), LogicManager uncovers critical risks, insurance and financial information for effective risk management. The firm’s RMIS software solution for insurance companies allows providers to measure the health of their organization—such as renewals, claims and customer service, from multiple business areas and track progress toward achieving corporate objectives. LogicManager provides standardized process for risk assessments, helping users identify and prioritize risks, threats and opportunities. It centralizes and streamlines the claims management process for all types of incidents, claims and loss events in the RMIS process so that organizations can also gain visibility into claims cost per premium dollar to contain cost and control reserves. The ERM software will track business metrics in real-time—both internal and external to the insurance organization, revealing the most critical Key Risk Indicators and providing ammunition for risk based informed decisions and better business performance. Automated email notifications, alerts and reminders also helps users to keep track of top risks, upcoming renewals and any outstanding claims. With this appropriate business metrics insurance companies can define risk appetites and monitor tolerance ranges for critical concerns and risk evaluation—which in turn impacts the business performance. In addition, the firm’s ERM framework also enables insurance companies to comply with the Own Risk and Solvency Assessment (ORSA) by identifying, assessing, mitigating, monitoring and reporting on material and relevant risk associated with insurers’ current business plans. Since inception, LogicManager’s risk management platform and mentoring services has provided a foundation for ERM programs to thousands of organizations worldwide. The company’s success is built on three core values: customer satisfaction, risk management expertise, and cost effective innovation. In one instance, one of LogicManager’s customers in the insurance industry has used the company’s platform to develop stronger risk appetite statements that are further enhanced with actionable risk tolerances. Adopting actionable risk tolerances across their organization has allowed the client to predict trends in their business environment, and develop effective mitigation activities and strategies that continuously maximize their business value. LogicManager’s team is deeply committed to innovation and continued business success. Forging ahead, the firm plans to bring in more innovations into its existing software incorporating latest technologies and trends for serving customers worldwide and also staying true to its philosophy of identifying the root causes of risks across the enterprise—resulting in improved business performance and resiliency.